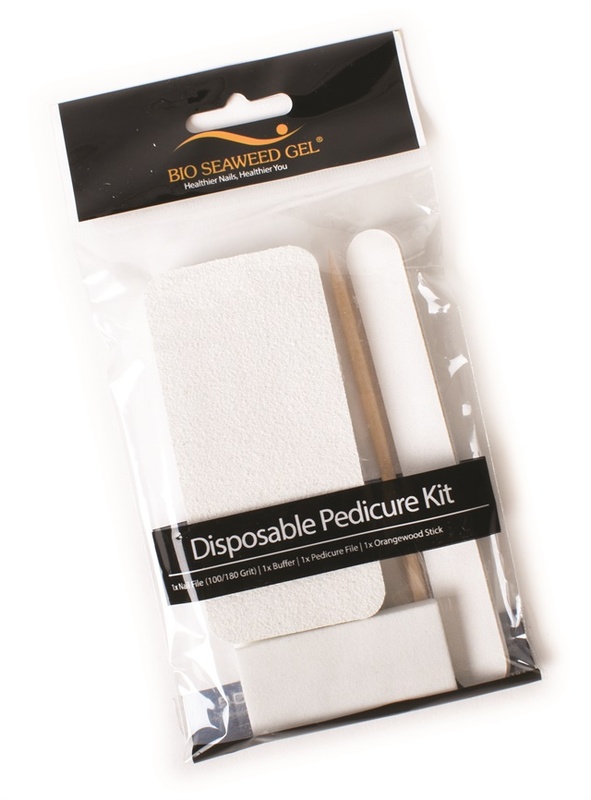 The Bio Seaweed Gel Disposable Pedicure Kit contains everything necessary for nail prep and removal. The kit includes one nail file, one gel buffer, one pumice bar, and one orangewood stick. Clean, remove, and dispose! For more information, visit Bio Seaweed Gel.